Karen is responsible for ensuring the fulfillment of the Ministry of Education protocols. The principal is authorized by the Ontario Ministry of Education to grant credit and uphold credit integrity for the courses taught at Torah High. 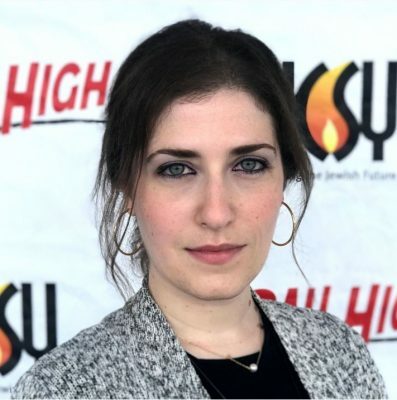 In addition to overseeing and managing the Torah High teachers, school communications, and curriculum development, she also oversees the assessment and evaluation of teachers and works with teachers on pedagogical skills while implementing all teacher requirements. To contact Karen directly, email her at kgal@torahhigh.org or call 905 761 6279 x 233. On-site principals are assist teachers and students with any needs or concerns before, during, and after teaching. The on-site principal manages the specific Torah High location and oversees teachers’ delivery of requirements. Sara handles all inquiries and requests. She is responsible for many of the logistic responsibilities associated with the running of Torah High. To contact Sarah directly, email her at sarah@ncsy.ca or call her at 905 761 6279 x 245.